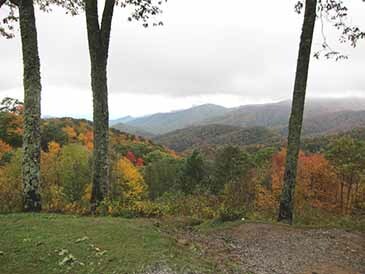 Great Smoky Mountains offers breathtaking views of fall foliage. 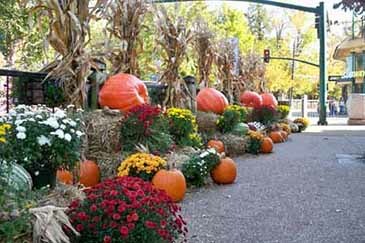 Leaves begin to turn to their brilliant colors of red, orange, and yellow around the second week in October and usually reach their peak between mid-October through early November. 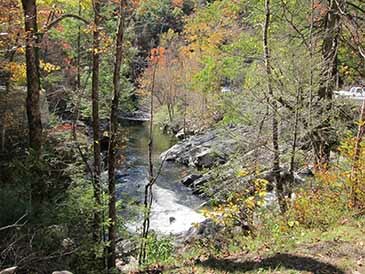 There are several great hiking trails within minutes of Elkmont campground, including the popular Laurel Falls Trail. Little River is also an excellent trout fishing stream. Elkmont is known for its historical and cultural significance as a former logging community and summer resort getaway. The camp store offers limited supplies but virtually all amenities, including a medical clinic, can be found in Gatlinburg, 8 miles away. Elkmont Campground is open from the second week of March until December 1st. Campsites are available during the off season on a first come, first served basis at reduced rates. The breathtaking beauty of Gatlinburg, Pigeon Forge and the Great Smoky Mountains during autumn is almost impossible to put into words. 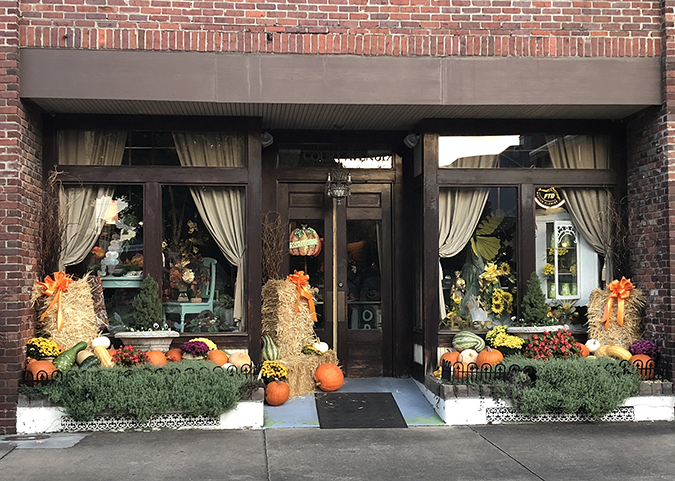 In fall, the mountains are washed with brilliant yellows, oranges, and reds as the fall leaf season brings glorious color to Gatlinburg and east Tennessee. 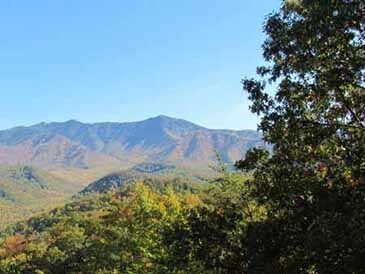 Come enjoy fall in Gatlinburg, Pigeon Forge and the Great Smoky Mountains and see why these are the "Great" Smoky Mountains. 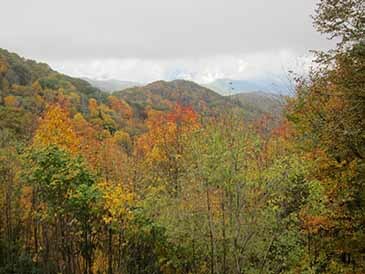 When is the best time to see the fall color in the Smoky Mountains? Altitude affects the fall color schedule, the fall color display usually reaches peak at mid and lower elevations between mid-October and early November. 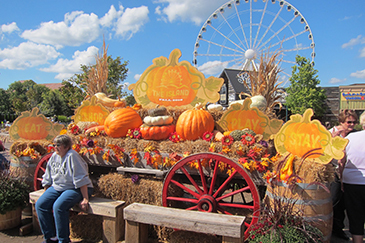 This is Gatlinburg's most spectacular display as it includes such colorful trees as sugar maple, scarlet oak, sweetgum, red maple, and the hickories. At higher elevations, color displays start as early as mid-September with the turning of yellow birch, American beech, mountain maple, hobblebush, and pin cherry. How does good fall color come about? 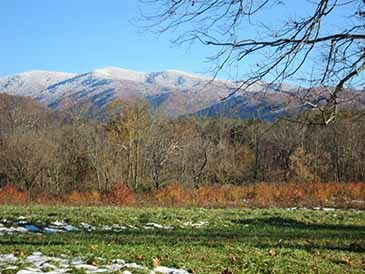 Both temperature and moisture can cause the fall color come earlier or later, and when the first frost occurs can determine the intensity and timing of color. A dry summer can make leaves change earlier, and dry summers with a wet September can cause brilliant, extended fall color. To put it simply, there is no way of knowing exactly when the color will begin or how long it will stick around. What makes fall colors so remarkable? One reason is the park's amazing diversity of trees. 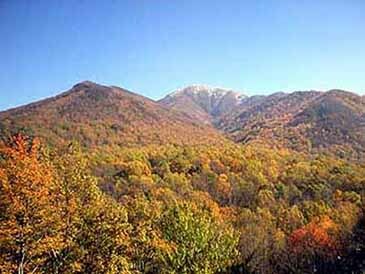 Some 100 species of native trees live in the Smokies and the vast majority of these are deciduous. How do leaf colors change? As summer ends, the green pigments in leaves deteriorate, giving other colors a chance to shine. Carotenoids, the pigment that makes carrots orange and leaves yellow, are exposed as the green fades. Reds and purples come from anthocyanins, a pigment that is formed when sugars in leaves break down in bright autumn sunlight. 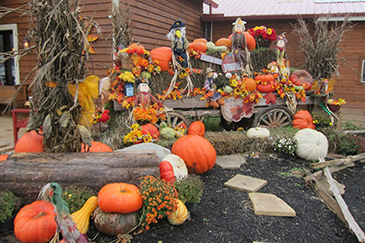 Where can you find the best color in the Gatlinburg and Pigeon Forge area? 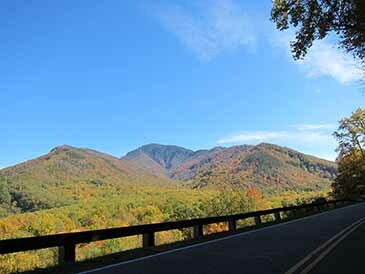 Great color can be found almost anywhere within the Great Smoky Mountains National Park, Gatlinburg, Pigeon Forge and Wears Valley, the Foothills Parkway, the Blueridge Parkway and the road to Clingmans Dome provide some of the best fall color viewing. 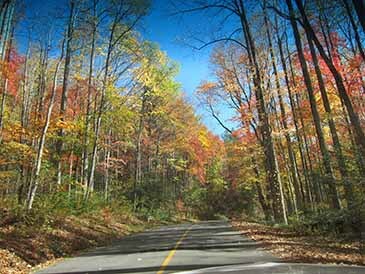 Also try the Roaring Fork Motor Nature Trail in Gatlinburg or the loop in Cades Cove. 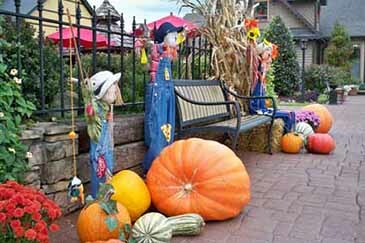 October is a busy month in the Smoky Mountains. It is advisable to book your accommodations with us as early as possible. You will want to take advantage of the peak colors which are from mid-October to early November.